Police are investigating a homicide after a 94-year-old woman was assaulted and killed during a home invasion early Monday morning in Cleveland's Slavic Village neighborhood. 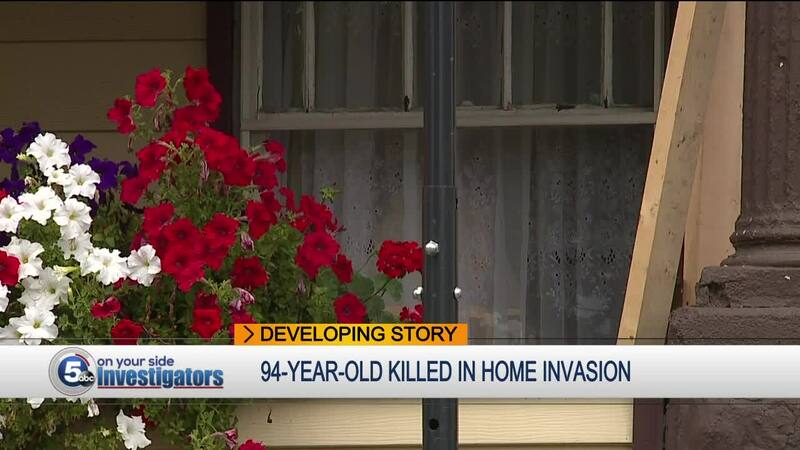 CLEVELAND — Police are investigating a homicide after a 94-year-old woman was assaulted and killed during a home invasion early Monday morning in Cleveland's Slavic Village neighborhood. Police responded to the 6000 block of Gertrude Avenue at around 1:42 a.m.
94-year-old Eucebia Garcia was taken to MetroHealth Medical Center where she was pronounced dead, police said. Her daughter, 74-year old Marina Garcia, was beaten in the attack. Family members say she suffered head injuries and was in intensive care. Garcia was listed in fair condition Monday evening. Relatives say the women were in Cleveland for the summer visiting family members who live next door to the home where the mother and daughter were staying. They were supposed to return home to their native Honduras in October. A family member says the women were asleep when someone pushed out an air conditioner and broke into the home through a window. The relative says the attacker walked into the bedroom the women shared, smothered the 94-year old and beat her daughter before taking less than $400 in electronics, jewelry and spare change. Neighbors described the mother and daughter as friendly, well-liked and happy. They called the overnight attack senseless. "It's like, what are you people thinking when you do that to these people?" said Eve Gajda, who lives two houses from the victims. "You're tearing their heart out, and it put a hole in mine too because even though I didn't know them long, it's just unbelievable what someone would do to them."